I read this article and found it very interesting, thought it might be something for you. 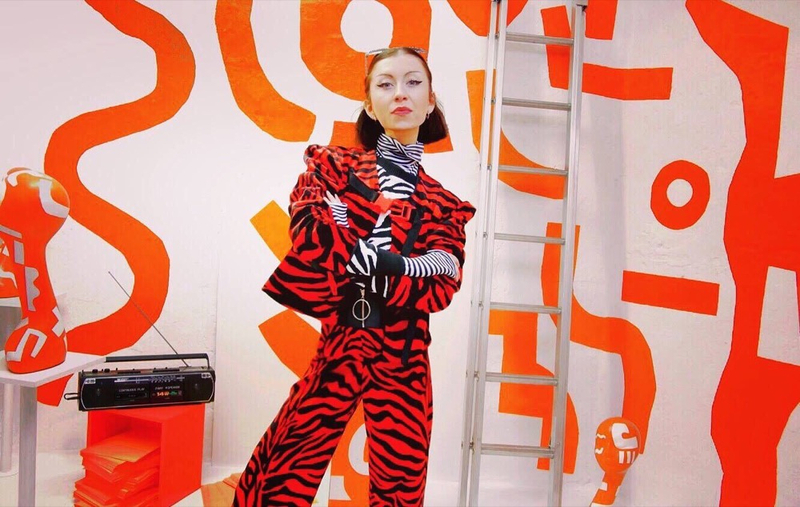 The article is called Hemlines: Flying The Flag – Aoife Dunne and is located at https://www.totallydublin.ie/more/fashion/hemlines-flying-the-flag-aoife-dunne/. Few creatives have merged mediums as dextrously as Dublin polymath Aoife Dunne. With an extensive career trajectory that crosses continents with ease, she melds the worlds of costume design, fashion styling and large-scale artworks. Her feeds are bursting at the seams with project announcements. This summer, she’s added yet another feather to her jewel-encrusted cap with a week’s residency in Margate Location House, whose “acid-aesthetic” interiors go hand-in-hand with Dunne’s personal style. “Walking-art-installation” is the simplest way to describe her look. The spoils of her creative output are now splashed across @efadone and @margatelocationhouse for all spectators to see.